On Friday 28th September a devastating tsunami with waves up to 18 feet high hit Indonesia. The tsunami, triggered by a 7.5 magnitude earthquake, has left an unimaginable trail of destruction across the island of Sulawesi. With access to the affected areas difficult and limited communications, the full scale of this tragedy is not yet known. We are working with local partners to respond, and are currently assisting in search and rescue efforts, transporting injured people to hospitals, and providing generators, emergency food, shelter and medical assistance. Read on for facts and live updates from the ground. Islamic Relief is continuing to distribute food, water, shelter and hygiene kits and are currently in the process of transporting 37 tonnes of rice to families affected by the Tsunami. Many families have not eaten for days so getting food to them is absolutely crucial. For £50 you can provide a family with food for a month. Please Donate Now. “They found them holding each other. These two brothers were hugging each other.” Two of Rudy’s sons died in the tsunami. His youngest remains missing. The death toll has now reached 1,649 and 250 people are still missing. Emergency aid is getting through which is helping to save lives. The UK government just announced that a second place, loaded with life-saving aid, has just reached Indonesia. So far Islamic Relief Indonesia has worked with local partners to provide 500 families with drinking water and dry food packages containing rice and nutritious dry food as well as blankets and waterproof material for shelter. A public kitchen has also been set up providing hot meals and first aid. Islamic Relief has set up 2 temporary bases in Palu to coordinate relief efforts and continue to access the needs of survivors. In the UK our volunteers have been hard at work collecting vital funds at mosques during Jummah collections. Donations are desperately needed to help save lives. Please donate generously to the Indonesia Tsunami Appeal. 200,000 survivors are in urgent need of humanitarian assistance. Today the Islamic Relief team in Palu reached 400 families, providing emergency food aid – and are aiming to reach more survivors in the coming days. Donations are urgently need to help meet the needs of countless families affected by the disaster. The Disaster Emergency Committee have launched an emergency appeal earlier today. Please donate towards the Indonesia Tsunami Appeal and help save lives. Official death toll has now gone up to 1,407 according to national disaster agency and 70,000 people have been displaced according to latest figures. The death toll in Palu, the worst affect, has reached 1,177 people. Volcano eruption update: A volcano erupted today on the island of Sulawesi where the tsunami struck last week. We urgently need your support to assist the millions affected by this disaster, please donate now and help save lives. The death toll has now reached over 1,300 and over 1.5 million people have been affected by the disaster. Our staff and partners are currently involved in search and rescue, removing dead bodies and providing medical assistance to the injured. We are also providing emergency relief items including drinking water, blankets, tarpaulins and dried food for 2,000 people. This will be scaled up in the coming days. Strong aftershocks continue in the area. Thousands of homes have collapsed, along with hospitals, hotels and a shopping centre. A team from one of our local partners rushed to get to Donggala from the south side of the island. They drove for almost 17 hours, sleeping on the streets on the long and arduous journey. Along with residents, they have been digging people out with their bare hands and basic tools but without heavy machinery there is only so much they can do. Today they removed 27 dead bodies. They are also helping to clear rubble and move seriously injured people to hospitals. Our local partners are distributing generators and emergency items such as tarpaulin for shelter, blankets, baby milk and food. It is estimated that over 830 people have died and these figures are sadly expected to rise further. Rescue efforts are under way but access is a major challenge. The main road to Palu has been blocked due to a landslide, and a key bridge is damaged and not accessible. Donggala is not accessible and therefore as yet, we do not know the extent of the damage. We are working with local partners to assist with evacuation, search and rescue efforts, removing dead bodies and providing medical assistance to the injured. As communications are down and access is very challenging – the full extent of the disaster is yet unknown. 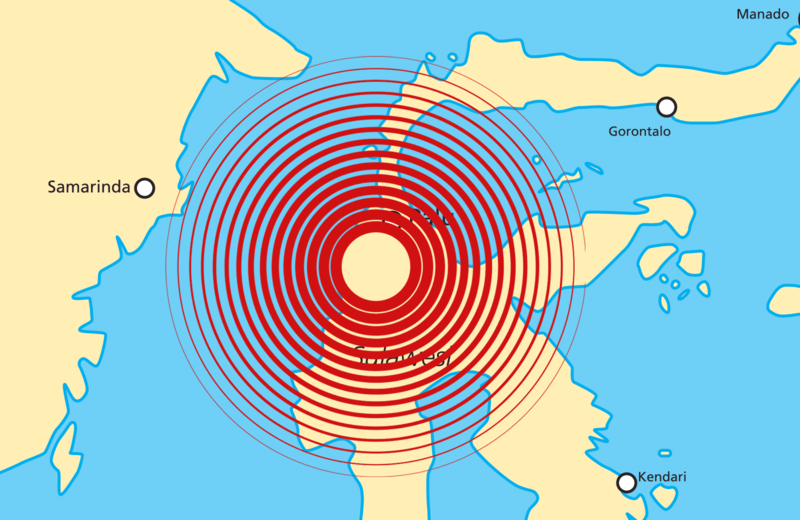 A devastating #tsunami, triggered by a 7.5 earthquake, hit #Indonesia. 380 people have been tragically killed according to recent reports. We’re responding by providing emergency life-saving aid. Reports from news agencies show the death toll rising as search and rescue efforts tragically continue to recover dead bodies from under the rubble of collapsed buildings. Islamic Relief has launched an emergency appeal and triggered a humanitarian response with local partners to respond to the immense need in Sulawesi, Indonesia. More than 380 people have been confirmed dead after a tsunami triggered by a 7.5 magnitude earthquake hit Sulawesi, Indonesia. Waves up to 10 feet (3 metres) high cause unimaginable devastation. The most affected areas are Palu, Donggala, Parigi, Moutong and Sigi.